Home > Case Studies, Competitive Strategy, Leadership & Management, Marketing Principles	> Great service leads to growth & profits – for Bettys, it’s a piece of cake! 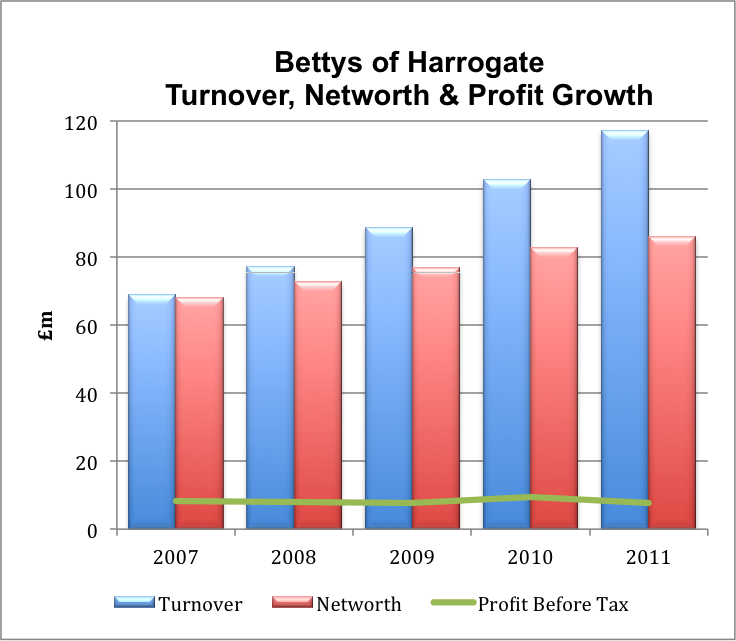 Great service leads to growth & profits – for Bettys, it’s a piece of cake! I recently visited a friend in Leeds – a major city in the North of England. On the Sunday, a group of us travelled the short distance from Leeds to Harrogate, a few miles away. Harrogate is a spa town – you can walk past the “Royal Pump Room” museum and still smell the sulphur from the spring below. This is just one of several mineral wells containing iron, sulphur and other chemicals that made the town an attraction in the Victorian and earlier Georgian eras. As well as the spa, Harrogate also features the first Bettys Tea room. 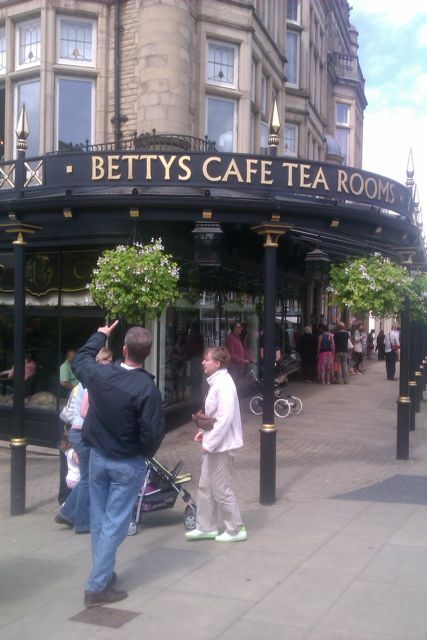 Bettys was founded in 1919 and has since grown to include a number of other tea rooms across Yorkshire. The family run company now also includes Taylors of Harrogate, the tea and coffee merchants with brands including the best-selling Yorkshire Tea. Our visit to Harrogate included a visit to Bettys for morning tea and cakes. We were amazed at the level of service provided. One friend asked about the orange juice on the menu. “Was it freshly squeezed?” Instead of just acknowledging that it was, we were told that it had been – but not that day, but on the Friday, as it was squeezed off-site and not at weekends. We asked about the ingredients of one of the cream cakes – was it made with butter or margarine and was it suitable for vegetarians? The waitress wasn’t sure – so said she would check in the ingredient listings. It turned out that it was made using butter and was fully vegetarian. It tasted superb. I watched our waitress (on the bill it said her name was Jade) – and others. They smiled, they conversed, were friendly, helpful, and their body language showed a real care and attention to each customer. They knew their products – and if they weren’t sure they didn’t lie or guess, but went to check. The service was impeccable. It turns out that the superb service is no accident. I asked whether there was any training provided – and was told that each waitress had one-to-one training before starting, and they were expected to learn the menu and were tested. They had an induction phase where they were watched and it took some time before they could graduate to become a full waitress. This training showed – it wasn’t just in product knowledge but also in the whole interaction with the customer, that made our visit such a pleasure. Bettys even has a dedicated website devoted to working for the company at www.workingforus.co.uk. The results of this focus on excellence show in Bettys financial results. The company consistently makes a profit – and turnover and net worth has grown impressively over the last 5 years. This is despite one of the worst downturns for decades – showing that Bettys has come up with a strategy that seems recession proof. Although profits have not shown the same growth, they’ve remained stable – perhaps reflecting the value offered by the company, compared to competitors. (We paid more for our sub-standard tea on the self-service motorway café journeying up to Leeds). Bettys shows how important service is for a business, and how appropriate training can lead to top-quality results, and evident staff satisfaction. (In 2007 Bettys was listed in “the 100 best companies to work for” compiled by The Sunday Times). This focus on quality, in the product as well as the product knowledge, attention to detail and customer focus can translate to the bottom-line result – and lead to turnover growth and profits. 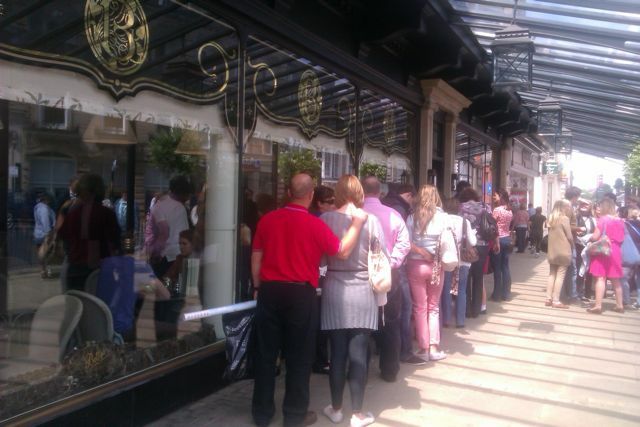 The queues outside, waiting to get into the Tea room is evidence that Bettys is doing something right. The results – financial and reputational are too. It may look like a piece of cake to achieve this – but the numbers of companies that fail to provide adequate service shows that it isn’t. Maybe they should make a visit to Harrogate part of their own staff training! Absorbing info and interestingly written. Keep up the superb stuff!